It&#39;s worked so far, but we&#39;re not out yet. It's worked so far, but we're not out yet. Egad! Now I simply hate change. I had gotten a Wordpress account back earlier this year. Around the same time as VOX I guess. However, I liked VOX much more, even though there were less people on VOX, it was really the quality of the people's blogs that kept me on VOX. Well, that and the sheer mayhem of options and work Wordpress requires to make a tantamount of change. 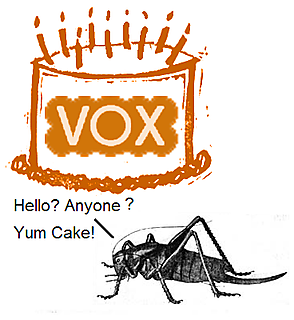 You really want to know what happened to VOX? Sixapart was responsible for LiveJournal, Movable Type, VOX, and Typepad. Well apparently one of higher-ups of VOX had long since abandoned the VOX office located San Fransisco, California, married someone who may or may not have worked at the office. He was working from Honolulu, and she (one of the VOX beta-testers) had moved there sometime back. Then other people started to leave. You can see now, some of the Beta-Testers clearly knew something was up a while back, because they had simply abandoned or otherwise moved their blogs, for one lame reason or another. I now assume that mostly likey, they were paid to blog. And since, VOX was going to cut corners , they eliminated their positions and hence they moved their blogs, or stopped blogging all together. This occurred right around the time VOX began to deny rumors of VideoEgg(another bad idea) trying to acquire SixApart, VOX's parent company. When I saw them trying to push a Flickr/Typepad migration, I had a bad feeling. Yahoo sheds more web services than almost anyone else out there. Hell the TechCrunch Deadpool is filled with dead Yahoo projects. I have a feeling Flickr (which has never updated its homepage image) will one day—soon—be history as well. And as for Typepad, I have a feeling it will go the same route as VOX, maybe in a year or two. Who knows? My guess is no better than anyone else's—these are feelings. And what of VOX Japan? For now, I think Wordpress is the perfect place to weather the storm. I wonder what kind of kickback they are getting from Flickr? Want to read more on Vox's Demise? Alright, no more whining about VOX. The next blog post will be a real post. See all of you old VOX'ters and New Wordpress people, I have yet to meet, later.